The Guinness Book of World Records has been around a while. Since the early 1950s, Guinness has tracked, calculated, verified, confirmed, measured, weighed, studied everything from the fastest bird in the world (that’s how the idea for the Guinness World Records started) to the most sausages produced in one minute. 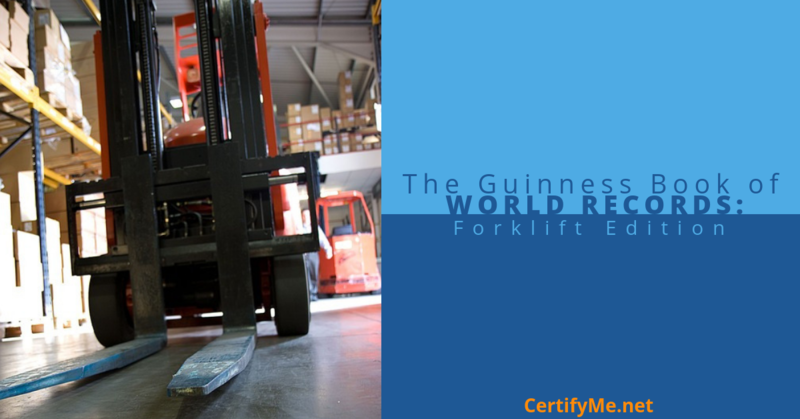 With so many interesting facts about pretty much everything, the Guinness Book of World Records has plenty of data on forklifts, right? Not really. There are some forklift records listed on the official Guinness website, but finding the biggest, fastest, or strongest forklifts requires some additional research. Well, you’re in luck! 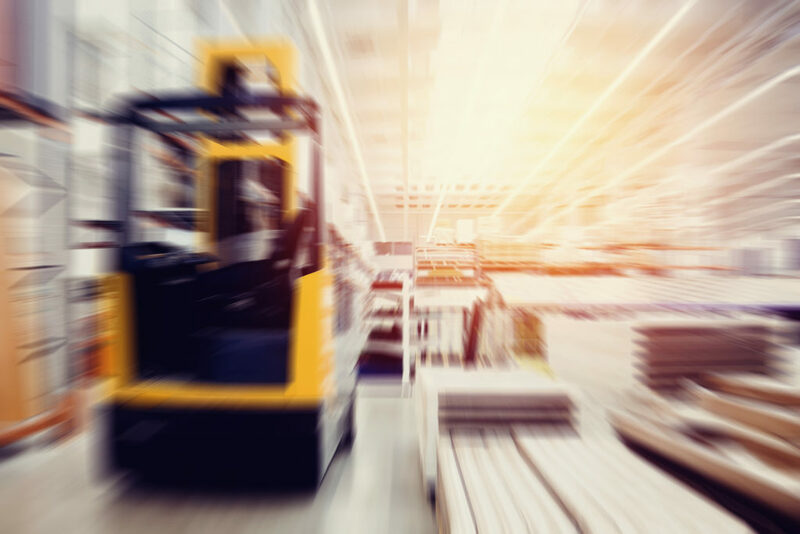 The team here at CertifyMe.net did some heavy lifting (although not quite as much as the strongest forklift), and came up with a few “unofficial” world records for forklift performance attributes. Feats of strength are popular for any Guinness Book of World Records fan. From the bench press to squat, the limits of human strength never fail to surprise. But the strongest human has nothing on an average forklift. Some lifts can hoist tons of weight, and the world’s strongest lift has specs that are hard to believe. Consider this: the second-strongest forklift on the planet weighs nearly 100 tons, and has a lifting capacity of 65 tons, or 130,000 pounds! However, the world’s strongest forklift seems to be the Kalmar DCG720-10LB, which can lift up to 72 tons! What makes this lift truly incredible is that it can lift that weight on an inclined (up to 34%) slope. Let’s see Arnold Schwarzenegger or Lou Ferrigno try that! For the world’s tallest forklift, we had to limit the scope to simply marina lifts, since that was the only sector with enough concrete information. The Wiggins Marina Bull can lift boats up to 75 feet in the air. That’s amazing enough, but the Marina Bull isn’t lifting small rowboats. It can lift 10,000 pound vessels that high! Whenever a forklift shows world-class attributes in one category – and nearly another – it’s hard to overestimate how impressive it is. The Wiggins Marina Bull’s combination of height and strength are hard to top! While forklifts aren’t known for their straight-line speed, there are a few recorded instances of forklifts achieving checkered flag-worthy times. The world’s fastest forklift was clocked at nearly 75 MPH in 2009 along a remote New Zealand highway. That’s definitely not a recommended safe speed for normal forklift duties! Which forklift can drive the fastest? Since our previous records aren’t verified by Guinness, we figured one official record from their archives was worth mentioning. This one involves cup stacking – something usually reserved for human hands. 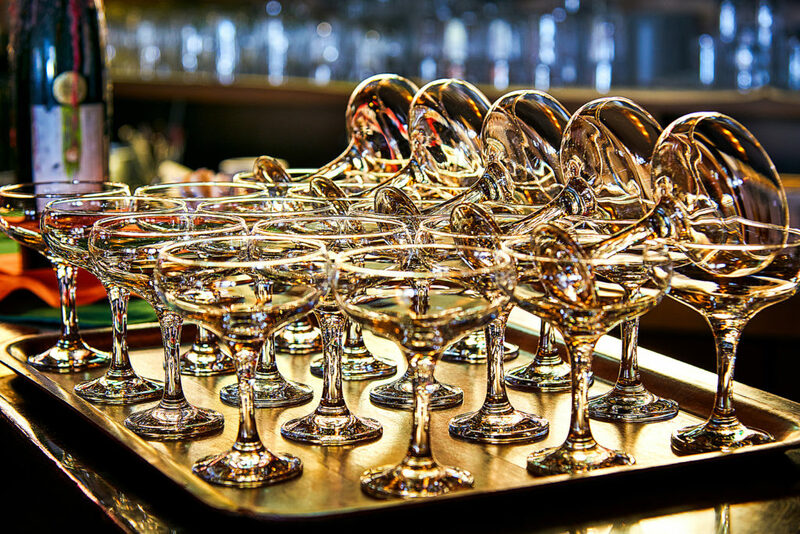 The Guinness world record for more coupe glasses stacked with a forklift belongs to An Liqiang of China, who stacked 16 cups in one hour. The feat occurred in January 2016, and nobody has come close to breaking the record! You don’t have to drive a forklift 75 MPH, or lift up to 72 tons, to receive the best training around. If you drive the world’s fastest, largest, or strongest forklift, you still need the proper credentials to operate it. Every powered industrial truck requires training – and Certify.net offers a great selection training courses for any driver. Plus, we also have free 3-year renewal training and lifetime support. For more information about our OSHA compliant courses, give us a call today at 1-888-699-4800. Thanks for stopping by the CertifyMe.net blog!